Engine What kind/brand of coolant do you use? What kind/brand of coolant do you use? Starting a poll about what everyone uses to keep their Delorean cool. Local auto parts universal green of something else, anyone use a waterless coolant? I have always changed my cars cooling systems over to steamed distilled water and (orange) prestone dexcool. Corvette uses dexcool so it must be good enough for them. 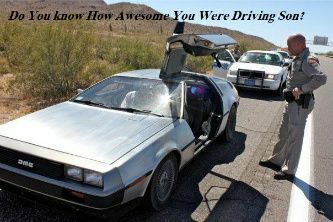 I run dexcool in my: 1984 Porsche 928, 1996 BMW 850 Ci (12 cylinders), 2005 VW Jetta and my 1982 Delorean. Never had a problem. Dexcool is a 5 year coolant, I have personally seen what happens to a Mercedes Benz 450SL that ran green coolant was wasn't changed out every 2 years as required, the coolant ate big holes in the steel heads and destroyed the engine. Pre-mixed green stuff, house brand from the auto parts store. Since it ends up mixed with my engine's oil, I figure there's no need to splurge. I run the cheapo green stuff. Mix it myself as I am cheap! Green stuff...if its on sale I get the pre mixed. Never tried the orange stuff...but it reminds me of Tang, which I used to like..so maybe I'll try it sometime. I used Prestone concentrate, and bought distilled water to mix it with. 50/50. It's also available in premixed. I know this will start a debate but I too use the orange Prestone Dex-Cool. I use the premixed green Prestone, no complaints.